AirGigs is the first marketplace for remote music production services. 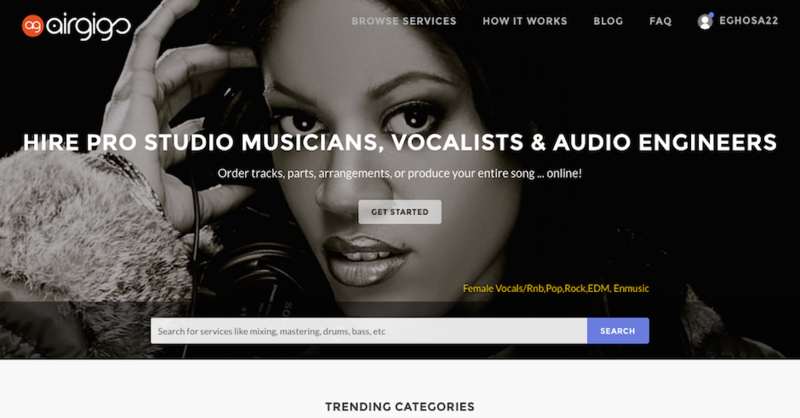 Co-Founders Angela Blacker & David Blacker created this startup to open up new streams of income for session musicians and recording engineers, and, new music production possibilities for tech savvy songwriters and music creators. The site went live in May of 2012, and continues to grow organically, and through targeted marketing. We manage all the marketing, business administration, customer service and web design / development for AirGigs LLC. The site is still in Beta, but we are planning to launch fully in 2015.